Festival lighting installed at Arrington Vineyards in Arrington, TN. 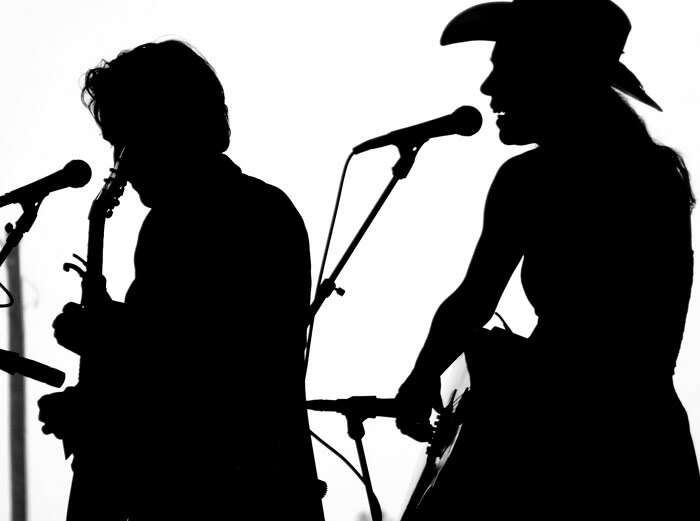 It is usually a no-brainer when someone mentions Nashville the image that flashes in your mind is a guitar-holding, cowboy hat wearing musician, hard-working and hungry to be at the right place at the right time. After all, this is Music City, the place where dreams come true. Nashville is steeped in music history, being home to the Grand Ole’ Opry and noted as the birthplace of country music. Nashville has evolved to become the “go to” destination from nearly every walk of life for a myriad of reasons in addition to our musical roots. Being in the midst of Nashville’s evolution into a top-notch city has made our business very interesting. Of course, we have designed and installed outdoor lighting for many of the top musical artists that reside in, and around Nashville. Although we cannot name any names as to ensure their privacy, it is exciting to see who answers the door sometimes when we come to call! The Country Music Hall of Fame: The Country Music Hall of Fame® and Museum is operated by the non-profit, educational Country Music Foundation® (CMF). 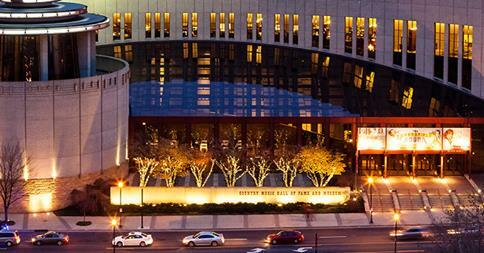 The mission of the Country Music Hall of Fame® and Museum is to identify and preserve the evolving history and traditions of country music and to educate its audiences. The location of the venue adds a strikingly modern touch to the Nashville skyline, and Outdoor Lighting Perspectives of Nashville enhanced the majesty of this location with the addition of outdoor lighting! View of the Country Music Hall of Fame in the evening. The Loveless Cafe: You simply cannot visit Nashville without planning a visit to this iconic eatery. 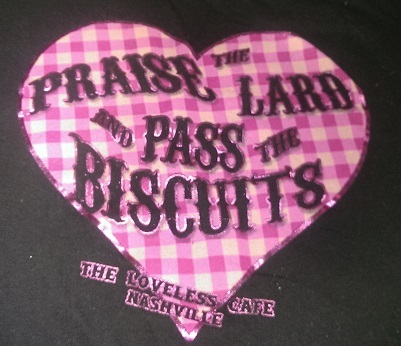 The Loveless’ biscuits are so loved that they have earned mention on their T-shirts! The Loveless has been a fixture in the Nashville area for over sixty years. With a diverse history, the cafe serves up true Southern staples like fried chicken, country ham and, of course, those mouth-watering biscuits. Since its beginning in the 1940’s, the cafe has evolved to include The Loveless Barn ,which is a 4,800 sq. ft. venue that has become the trendiest place around for large-scale events, parties and even weddings. The Loveless Barn is also home to Music City Roots: Live from the Loveless Cafe which is filmed and recorded there every Wednesday. Outdoor Lighting Perspectives of Nashville provided the lovely holiday lighting for the Loveless last year, and is honored to provide it again this year. The venue plans to kick off the season at their Bright Lights & Biscuits event set to kick off on November 17th! This year’s holiday lighting promised to be even more enchanting! The Gulch: The Gulch is known among Nashville’s residents to be one of the trendiest and “hippest” neighborhoods around. Not only is The Gulch a popular destination for locals, college students and visitors, it is the first neighborhood in the South to be deemed an LEED certified green neighborhood! The area is packed with urban appeal including office space, retails shops, restaurants, new and renovated buildings and a residential area. You may have even see the Gulch featured in a recent episode of the hit show Nashville! 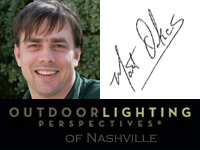 Outdoor Lighting Perspectives of Nashville has provided outdoor lighting at many of the trendiest locations within The Gulch. 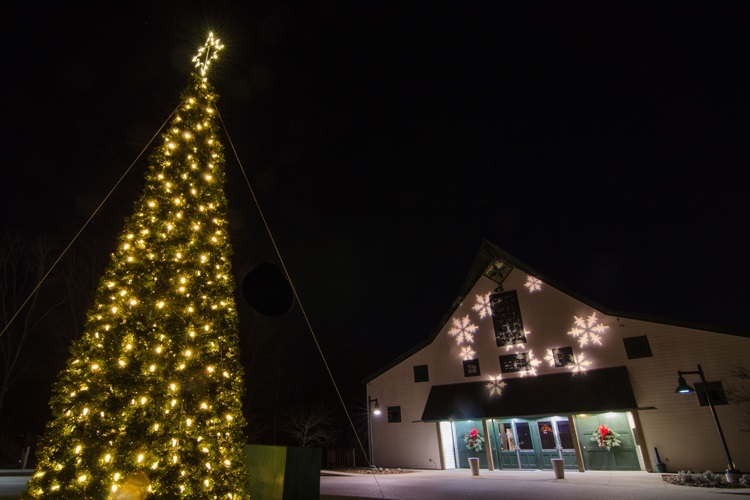 During the past holiday season we adorned all of the light poles within this unforgettable location with bows and garlands in honor of the holiday season. We also installed permanent festival lighting along the corridors of the Gulch, making it come to life! 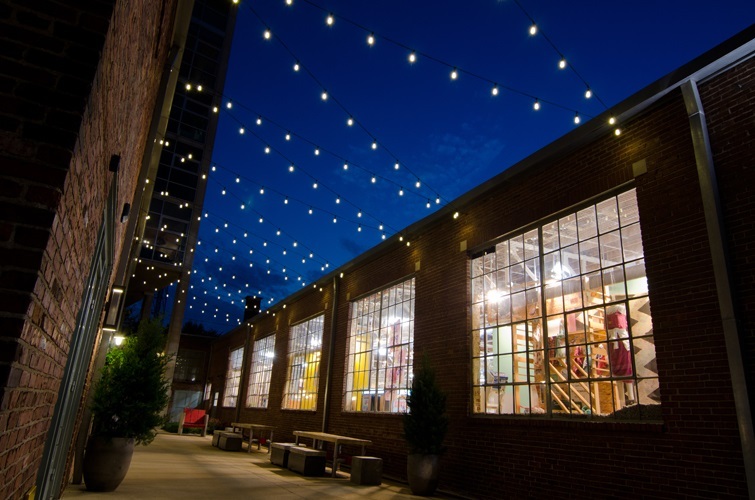 Permanent festoon lighting by Outdoor Lighting Perspectives of Nashville at The Gulch. Arrington Vineyards: Since 2007, Arrington Vineyards has been providing a true “wine country experience” of award-winning wines set among the picturesque rolling hills of middle Tennessee. Owned by country music artist Kix Brooks, winemaker Kip Summers, and entrepreneur John Russell, Arrington Vineyards has truly become “Nashville’s Wine Country”. 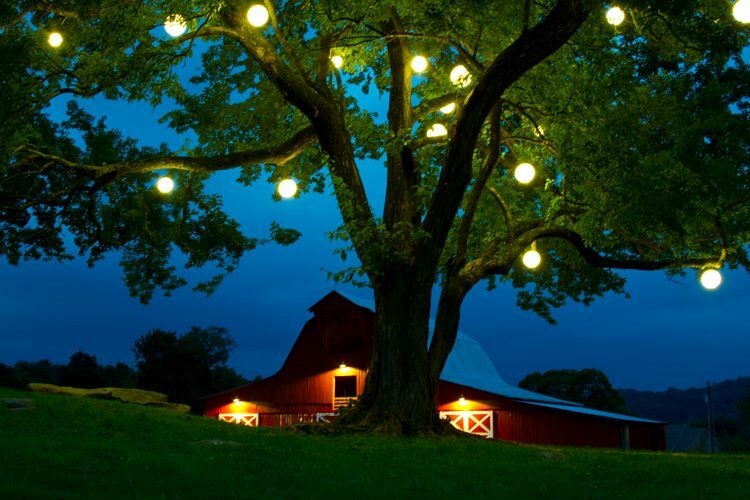 Orb Lighting at Arrington Vineyards by Outdoor Lighting Perspectives of Nashville. 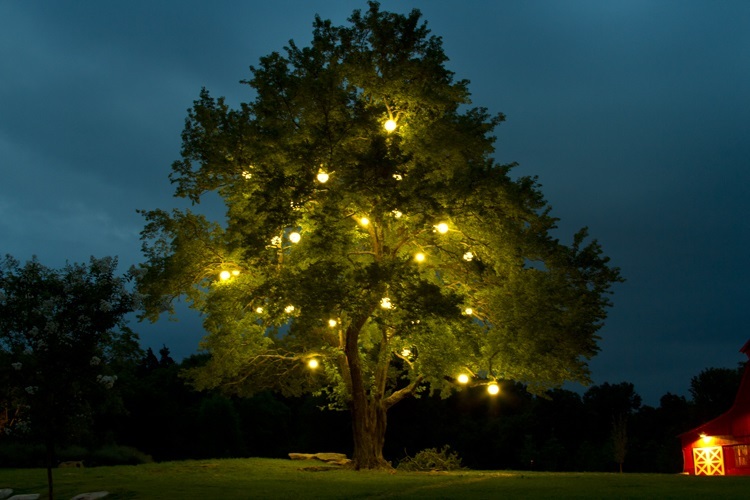 Outdoor Lighting Perspectives of Nashville was honored to play a part in making this venue more enchanting by installing permanent orb lighting within the trees located on the property. The addition of orb lighting has made Arrington Vineyards breathtaking in the evening under the spell of this unique lighting technique. 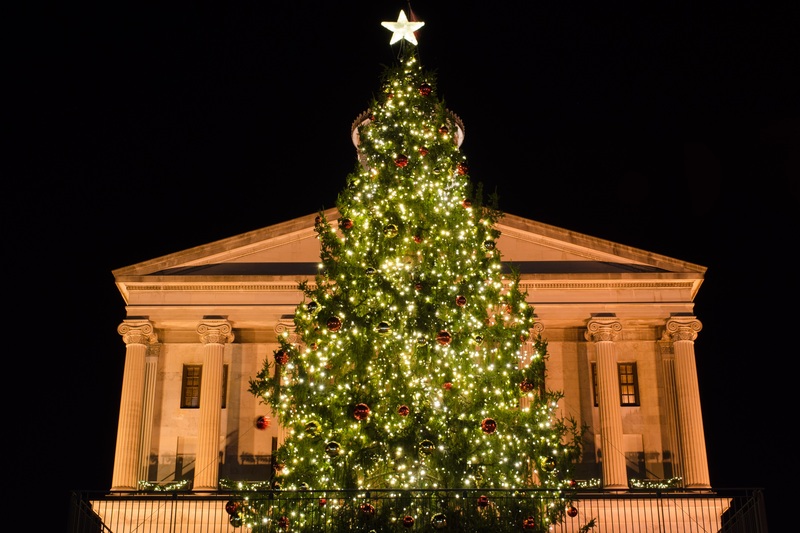 Lighting the Christmas tree at the capital in Nashville: Last but certainly not least, we have lit the Christmas tree at the capital located in downtown Nashville two years running, 2012 & 2013. Stay tuned for the exciting details of this year’s tree! It goes without saying, we are very proud of the opportunity to experience so many wonderful places, and meet so many new faces, all over Nashville and the surrounding area! This entry was posted in Commercial Holiday Lighting, Focal point outdoor lighting, Green Lighting, Holiday Lighting, Nashville outdoor living and tagged Arrington Vineyards, Bright Lights & Biscuits at the Loveless Cafe, Christmas lighting Nashville, Commercial holiday lighting for local malls and shops by Outdoor Lighting Perspectives of Nashville, Commercial outdoor lighting Nashville, Dr. Seuss, holiday lighting for the Loveless Cafe, holiday lighting Nashville, LED Christmas lighting Nashville, LED holiday lighting Nashville, LED lighted Christmas, Music City Roots: Live from the Loveless Cafe, Nashville Christmas Lighting, Nashville filmed in the Gulch, Nashville holiday lighting, Nashville special event holiday tree lighting, Nashville TN Christmas at the Capital event, Nashville TN holiday lighting design and installation, Outdoor lighting at Arrington Vineyards, Outdoor Lighting in The Gulch Nashville TN, Outdoor Lighting Perspectives of Nashville chosen to light the 2013 TN capital tree, The Country Music Hall of Fame® and Museum, The Gulch Nashville TN, the hit show Nashville, The Loveless Barn, The Loveless Cafe, TN capital tree lighting for 2013 by outdoorlightingnashville. Bookmark the permalink.